Let’s face it, looking good is a priority for many of us. But moisturizers, creams and toners can be expensive and who knows what will work? Well, the good news is, there are many affordable products that are great beauty and skin care items that you probably already have in your kitchen cabinet! Here are some inexpensive and effective ways you can use these products to keep looking your best. 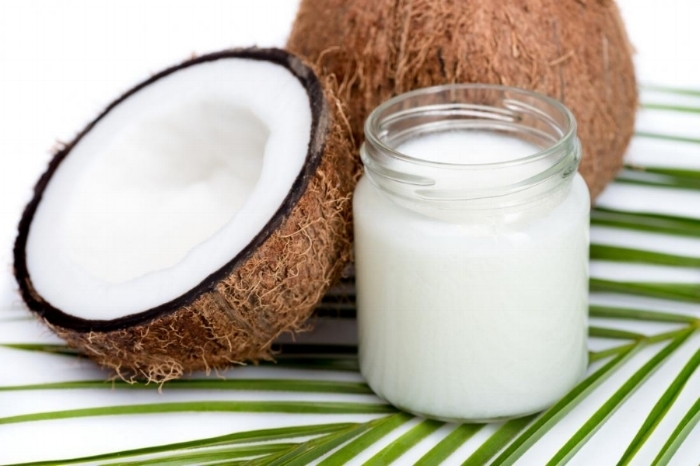 Coconut Oil: Coconut oil can be effective in a number of beauty and health applications. When applied to hair, it can make it shiny and healthy. For skin, it works as a moisturizer delaying the appearance of wrinkled or sagging skin. It can also treat skin problems including psoriasis, dermatitis and eczema. Olive Oil: Olive oil is another product that can have many uses when it comes to health and beauty. Warm olive oil can work as a preconditioner to keep hair healthy. It can also work as an exfoliating lip scrub. It’s a great pre-cleansing step to remove stubborn eye makeup as the oil grabs on to other oil based products. And if you want stronger and longer nails, olive oil also works as a cuticle softener. Yogurt: Not only does yogurt make a great, healthy snack that can aid digestion, it can also make a terrific beauty product. Most effective in skin care treatment, a face mask made with yogurt can moisturize your skin while treating acne. It also tones skin, tightens pores and can sooth sunburn. It works to relieve an itchy scalp and can also provide moisture to hands and feet. Coffee: Drinking coffee can have its health advantages and disadvantages…but there is no doubt about the fact that it makes a great beauty companion. When used in a mask or scrub, it works to perk up and tighten skin. It can also be added to mixtures as an effective cellulite fighter and can even work to enhance hair color and make it shiny….for brunettes only! Honey: Honey has been commonly used as a beauty aid dating all the way back to the times of ancient Egypt. It is great for skin care working to clarify skin and clear pores while moisturizing and fighting blemishes. It can also work to hydrate dry cuticles and strengthen and moisturize hair. Sugar: Sugar isn’t just sweet on your tongue, it’s sweet on your skin. Its small grains can work as a great exfoliant for skin and lips giving your face and body a pretty glow. When brown sugar is applied to legs prior to shaving, it can allow you to get a closer cut…and that goes for men’s faces as well! Avocado: Avocado is more than a delicious superfood, it is also an effective and inexpensive beauty item. When applied to skin, or drank in juice, it can protect skin against the signs of aging. It can also work on the scalp and hair to keep it healthy and moisturized and even prevent dandruff. Another benefit, it provides a natural sunscreen against harmful UVA and UVB rays. Eggs: Eggs…they’re not just for breakfast anymore! In fact, they have some terrific properties that make them great beauty aids. Eggshells can make for an effective exfoliator when finely ground. When rubbed into nails with milk, they can serve to revitalize dry cuticles. They can provide moisture for dry hair and scalp and have even been known to work well as an eyelash growth serum, making lashes stronger and thicker. These are just a few of the many inexpensive ways you can use the products in your kitchen cabinet to help you look your best. It’s great to know that you can get the same results as expensive drug store brands using these simple household items. What will you be adding to your beauty regimen?